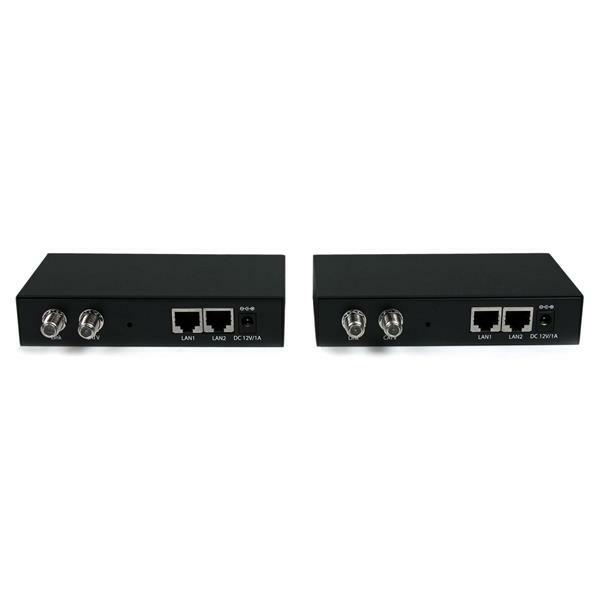 The EOC1110K Gigabit Ethernet over Coaxial Unmanaged LAN Extender Kit (2.4km) includes both end points, and allows you to span a 10/100/1000Mbps Ethernet network over extremely long distances (up to 2.4 km/1.5 mi) while still maintaining high-speed network connectivity. 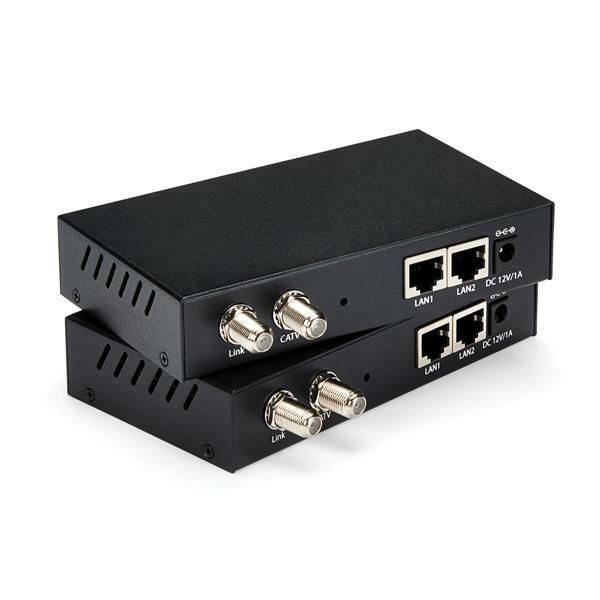 The coax Ethernet extender allows you to run the connection over existing coaxial cable, with little to no modification required, making it a perfect solution for a broad range of applications, including connecting isolated user stations from the same or separate building, or overcoming infrastructure obstacles and distances (e.g. 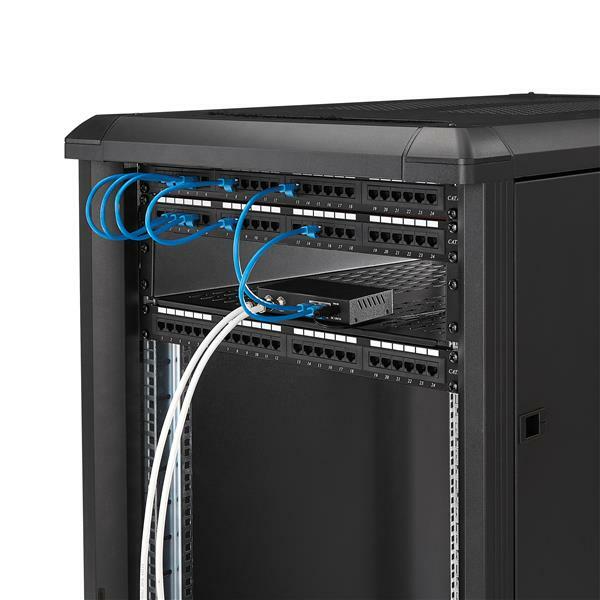 older stone/concrete architecture) where new wiring or wireless connectivity may be impossible. 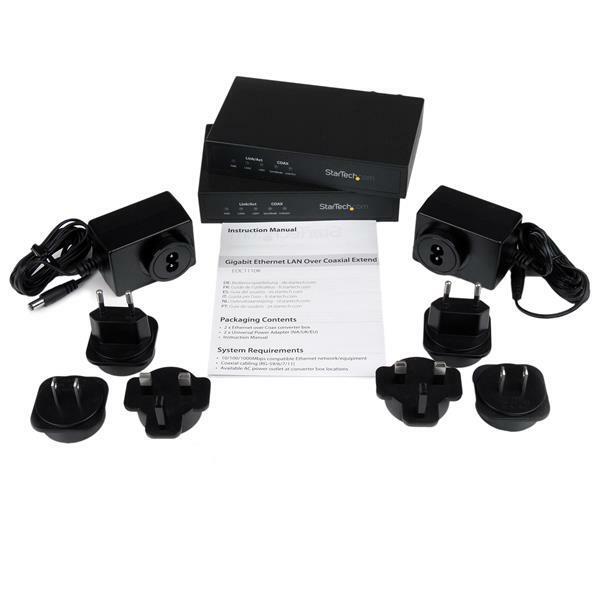 The gigabit Ethernet over coax kit helps to eliminate expense by allowing CCD or CATV video and Ethernet network data to share the same coaxial cable without interference.